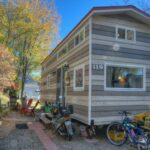 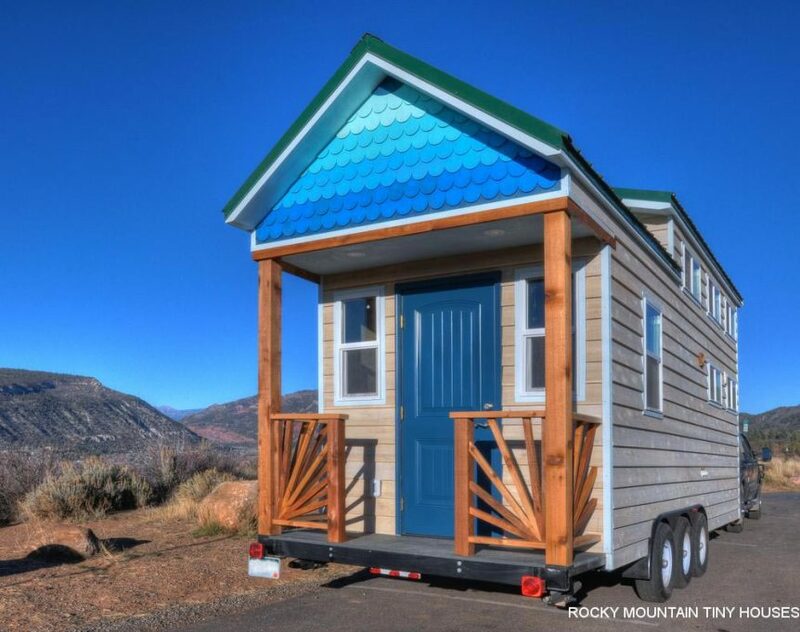 This colorful custom tiny house was built by Rocky Mountain Tiny Houses in Durango, Colorado. 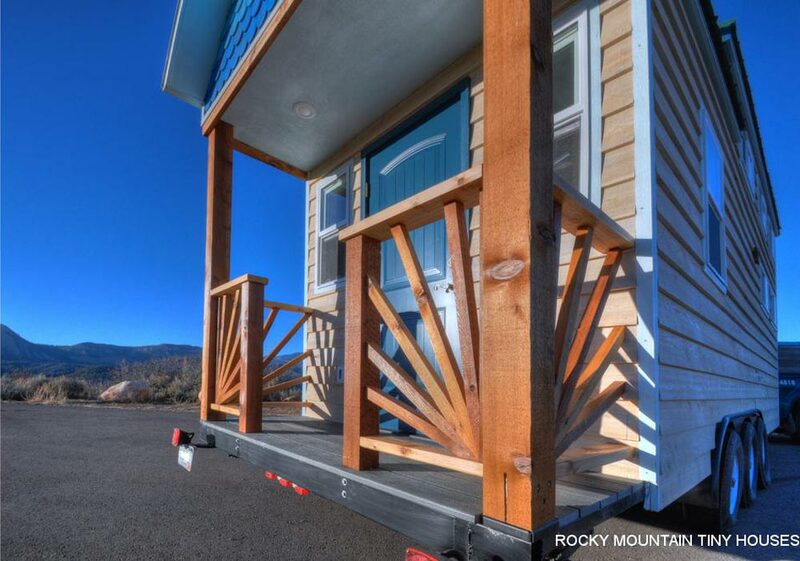 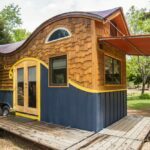 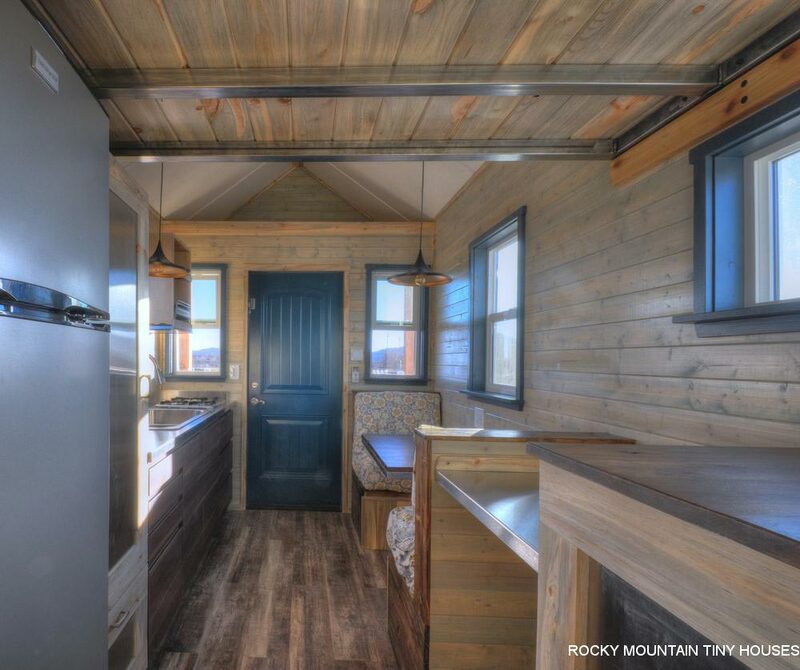 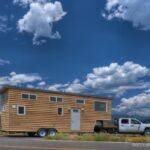 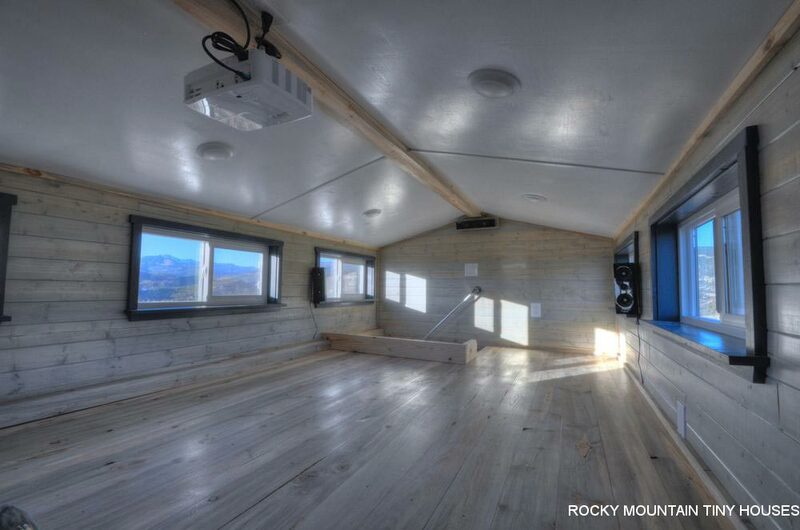 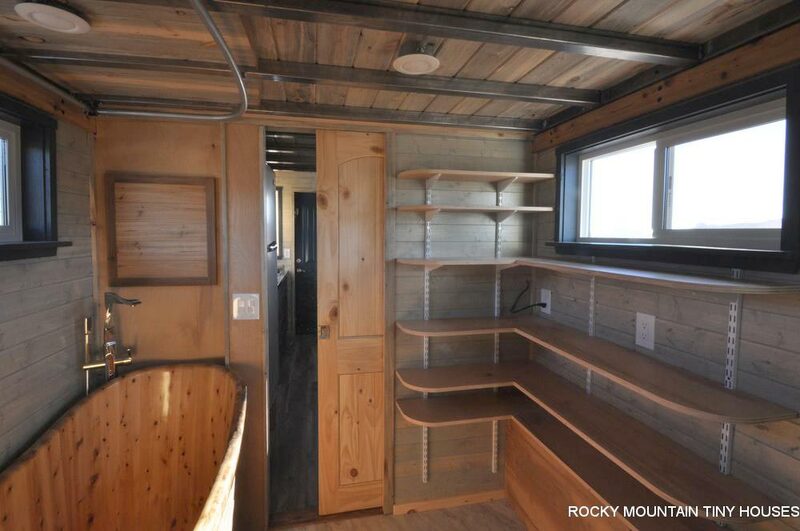 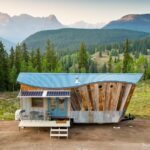 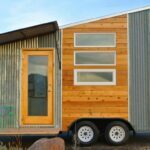 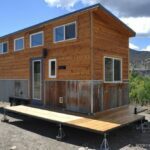 After attempting to build the tiny house herself, the client hired Rocky Mountain when the job proved to be more difficult than she had anticipated. 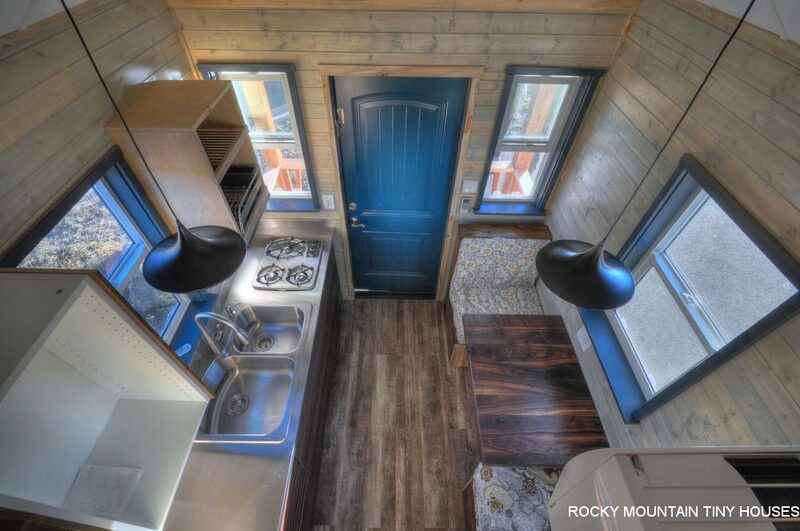 Named the Ol’ Berthoud Blue, the 24′ tiny house has a unique entryway with its gradient blue shingles, blue door, and porch rails with sunburst pattern. 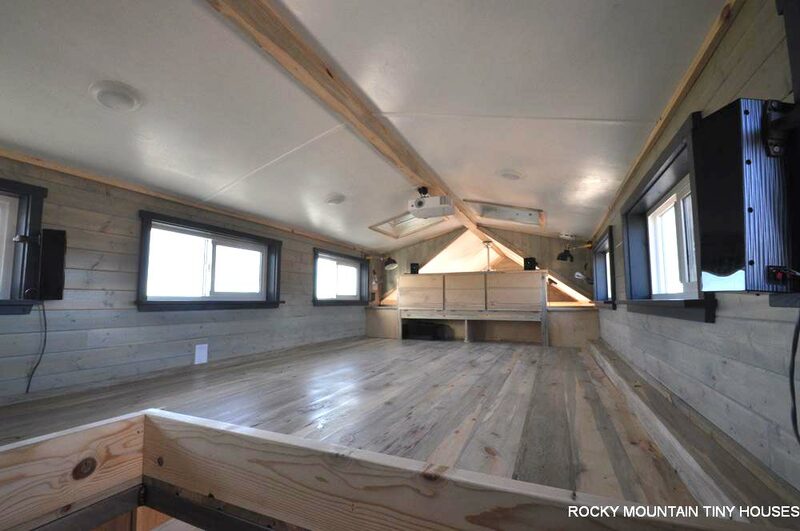 Beetle kill pine was used for the majority of the interior finishes. 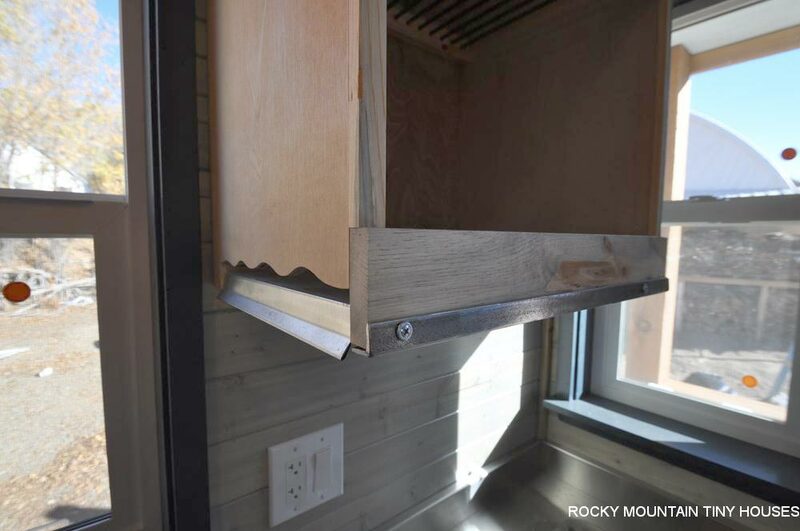 The kitchen has a custom stainless steel countertop, a dish rack that drains into the sink, a three burner propane stove, IKEA cabinets with soft close drawers, and a large slide-out pantry. 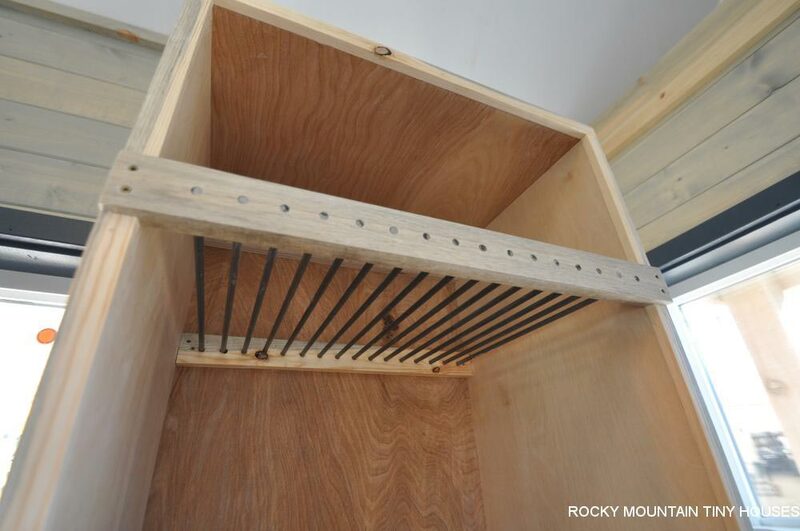 Shelving with stainless steel rods help keep items in place while traveling. 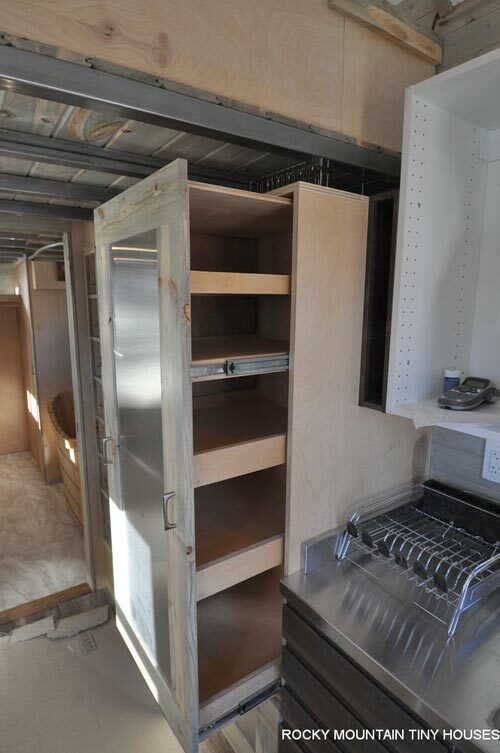 The dining table and bench seats convert into a 6′ bed. 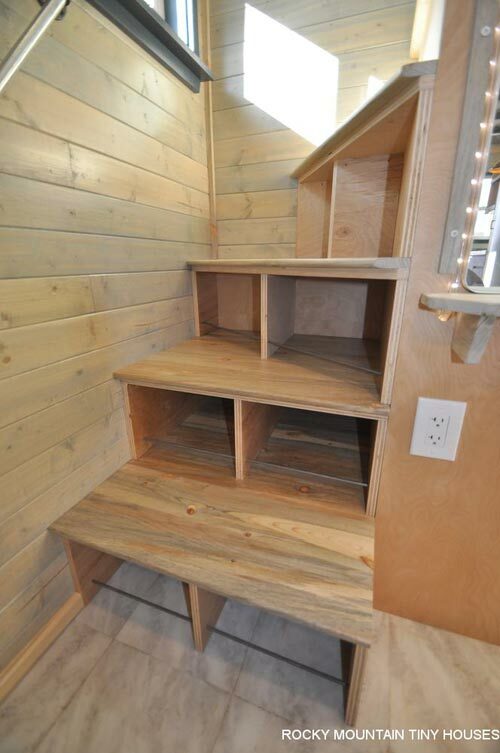 Winder stairs lead up to the large bedroom loft where there will be a king bed, surround sound system with projector, and headboard with storage. 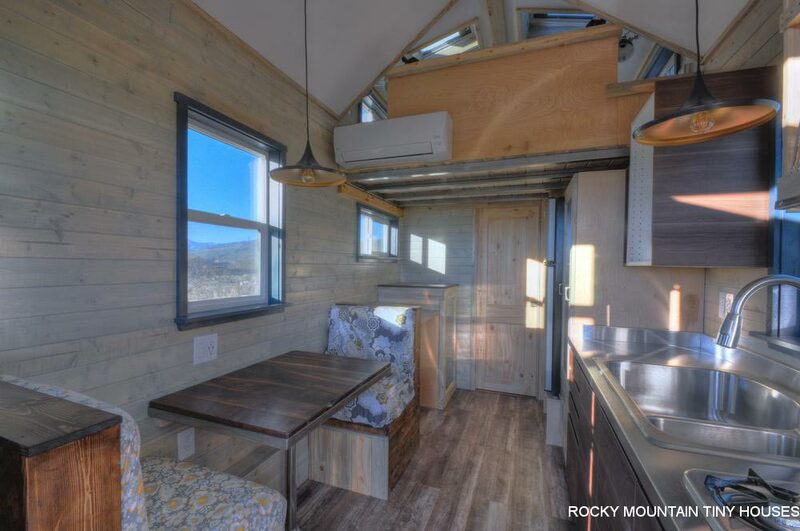 The two skylights have remote controls to open the windows and shades. 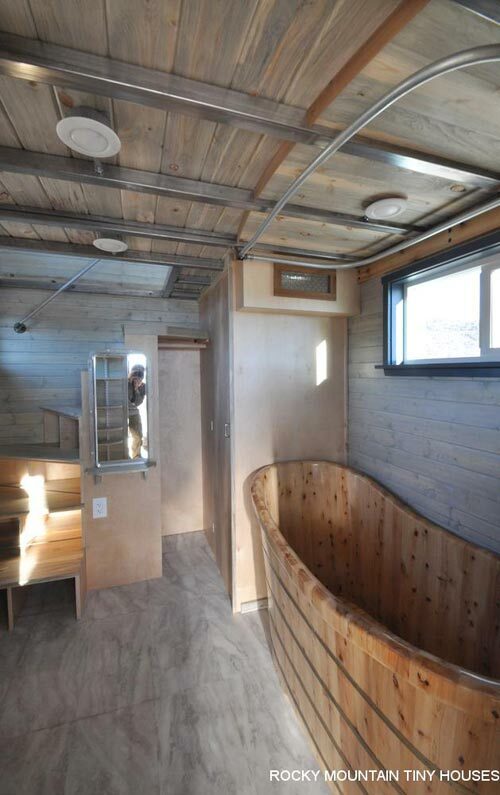 In the bathroom is a beautiful Alfi cedar tub and private toilet area with a Nature’s Head composting toilet. 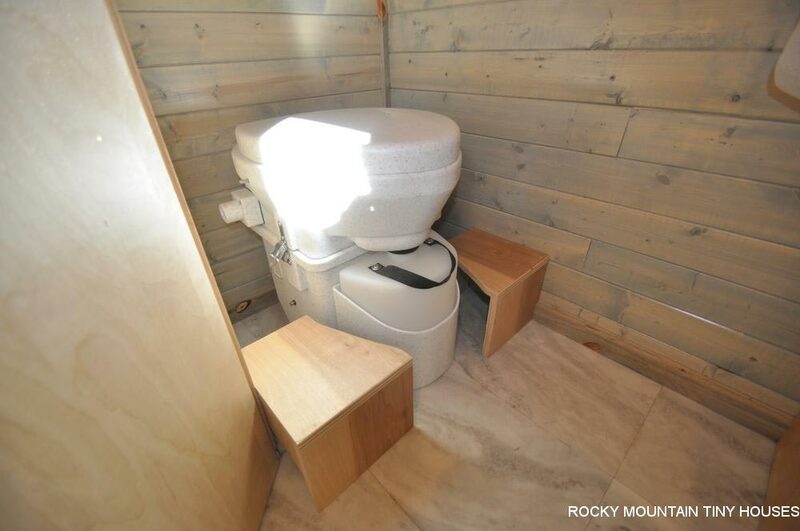 There are also several adjustable shelves in the bathroom.